Be our guest | write meg! The room looks lovely Isn’t it amazing how long it takes for a redecoration project to actually come together? The room looks so welcoming! My mom and sister are big thrifters and I go along with them when we’re all together but I haven’t found too much. I love seeing before and afters of rooms like this because I’m kind of obsessed with renovating and decorating our house. Money becomes an issue a lot though, so like Spencer, I also love thrifting! It’s so exciting to find something cool for cheap. My husband and I just recently put hardwood floors in the living room, dining and hallway. (We did it ourselves, but my husband build homes for a living) and we painted the walls. I HAVE an empty canvas on my walls. I am enjoying having nothing on them at the moment. I hesitate what to put up there (the same ol’ or something different?) Puzzling….. Any suggestions? How fun to thrift. I’ve gotta try that. It’s like buying from people on Craigslist or getting handmedowns from friends right? We just moved a month ago so I hear you on obsessing about paint. I spent so many hours on Sherwin Williams using its visualization tool. Our DIY list is still very full. I’ve taken a break and have been having a summer of PE, getting my duff off the couch and exercising my heart. 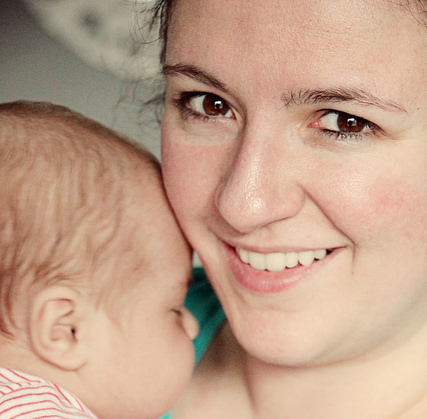 As a mum whose family depends on her, I need to be as healthy as I can be. How cute! I love how the yellow vintage lamps make the room pop. I’m definitely not an interior designer and am tempted to use my more savvy friends to actually draw a blueprint for me to follow. Why would people paint AROUND furniture?? That is too bizarre. You did a great job decorating!! I am not very creative and I have zero patience for thrift stores, so I’m super-jealous. It looks very inviting!! You’re lucky to have a guest room. We have the girls old room, which is still filled with teen girl stuff but the bed is now our old queen, not the former bunk beds. Someday it will be repainted and decorated. That room looks amazing! What a goodwill score! Around here, the goodwill marks everything down 75% the last weekend of the month. I go a little nuts hunting for treasures when they’re that cheap, haha! Haha, furniture lines? I’ve never heard of anyone painting around the furniture…how lazy of them! Love it! It’s a nice oasis for your guest. Nice work!